Stephen P. Kauffman is a senior partner with the law firm of Skeen & Kauffman in Baltimore, Maryland. Mr. Kauffman, has more than 27 years of experience representing clients with serious tax disputes with the IRS and other taxing authorities. Mr. Kauffman earned his B.A. in Accounting in 1977 from Loyola University Maryland, became licensed as a CPA in 1978, and is a former IRS Revenue Agent. 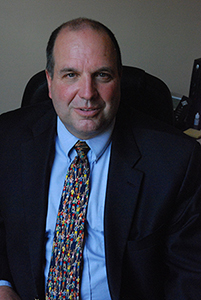 Mr. Kauffman earned his Juris Doctor from the University of Maryland School of Law in 1983, where he was a member of the Editorial Board of the Maryland Law Review. Mr. Kauffman has published several articles on tax and litigation matters in professional journals including TAXES—THE TAX MAGAZINE®, and the ABA Litigation Journal. Mr. Kauffman has also taught and lectured on tax and other topics at the Borra CPA Review, Loyola University Maryland, The College of Notre Dame of Maryland, and Maryland Law School. Mr. Kauffman, who was admitted to the bar in 1983, has a broad range of experience, which he can bring to bear on behalf of his clients. Working in both the private and government sector in tax controversy matters not only gives him a unique perspective, but also enables him to arrive at a solution in a timely and cost-effective manner. With nearly 30 years of experience in tax controversy matters, Skeen & Kauffman offers solutions that are both practical and effective.